When I first started RMK a few years back it all started with a company called Goruck, the high price of the packs and lack of online reviews drove me to start RMK. 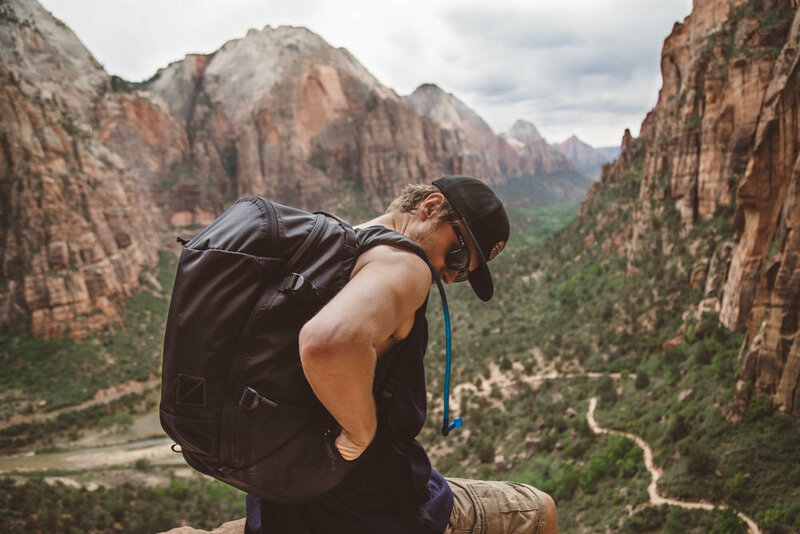 One of the masterminds behind Goruck decided to take his dream another route and start up the new pack company EVERGOODS. Ever since Jack mentioned he had something up his sleeve last year at Outdoor Retailer I was dying to see what else he had planned. With Jacks experience and his partner Kevin Dee a former member of Patagonia's advanced R+D team I have no doubt this duo has a strong start to a long time company. GORUCK co-founder / former Head of Product and former member of Patagonia’s advanced R and D team known as The Forge present their CROSSOVER equipment: the technical refinement of outdoor goods with the ease and appeal of everyday wear. 100% designed and developed in Bozeman, MT and sewn in the USA, Jack and Kevin believe in the process of doing the work themselves. Jack hails from Jacksonville, Florida. In 2008 he and a childhood best friend founded GORUCK. He later moved to Bozeman, MT to oversee GORUCK's R&D and product development. 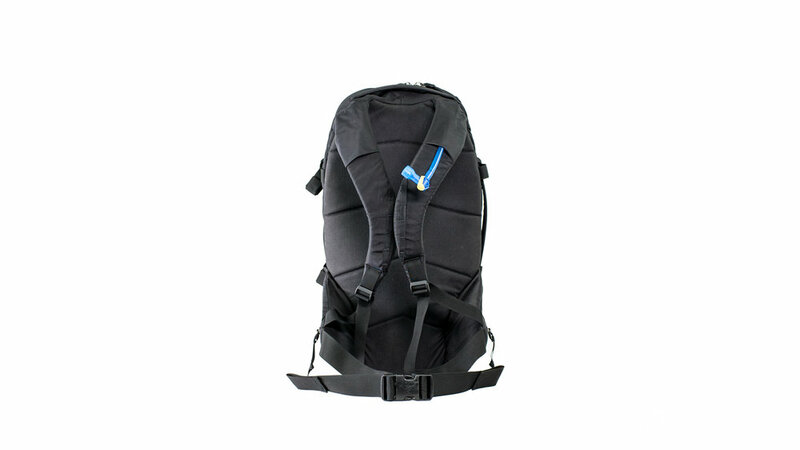 He has worked on the design, development, and manufacturing of some of the toughest backpacks around. Kevin Dee grew up in the Chicago area and has a BFA in studio art with an emphasis in sculpture from the University of Illinois in Chicago. He's exhibited sewn sculpture in fine art galleries in Chicago, New York, California, and Indiana. His sewing trade is self-taught and was refined as a sample maker for several years at Patagonia outdoor apparel. He then transitioned to Patagonia's advanced R&D Center known as the Forge, where he further expanded his knowledge of raw materials, tools and construction techniques with a solid grounding in mass production. Before I go and show all the awesome pictures of the two packs EVERGOODS is releasing I want to give my two cents. I have not had any hands on time with either of these packs to date however, I have had my fair share of packs and can tell when something is right. 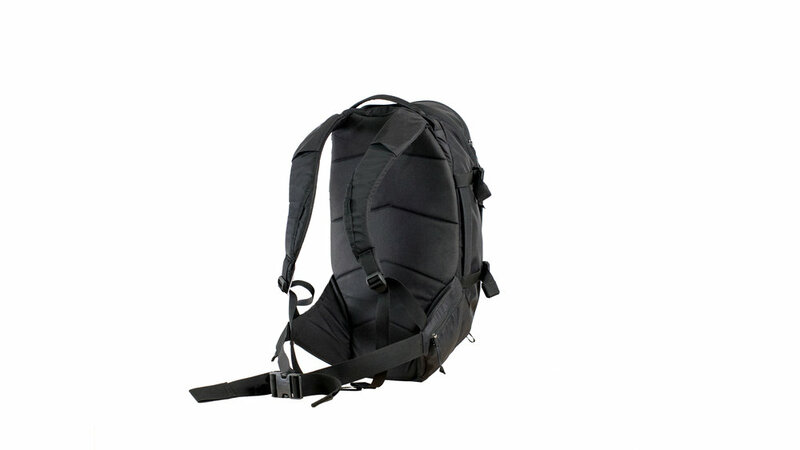 In both of the packs, I can see hints of a "Goruck" style pack with the black Cordura nylon and the clean lines. 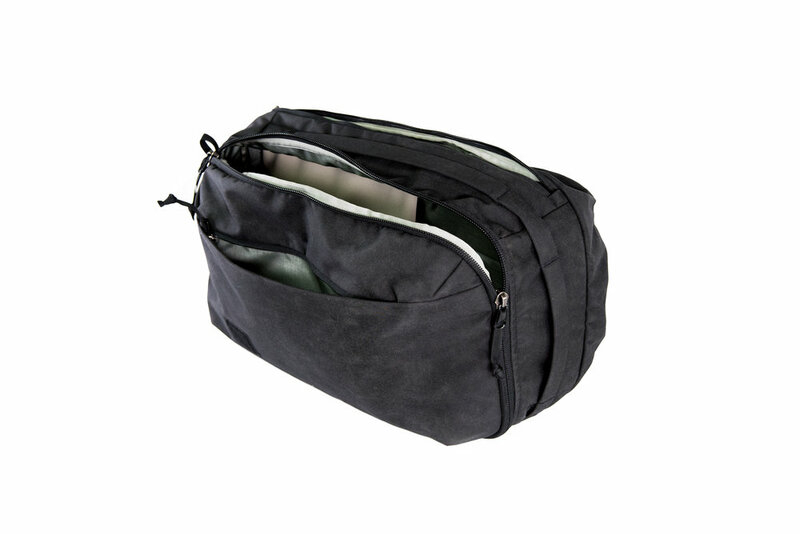 A lot of well-built packs that use the military grade nylon overload the packs with unnecessary straps and pockets that lead the pack to feel super bulky and clumsy, not with EVERGOODS. The straps and back panel system on both packs look as promising as I've seen. With all of the high-quality packs coming out it is the little innovative feature that will set the pack apart from the run of the mill pack. I will still have to see how each pack carries, however, the Mountain with its dedicated structured hip belt is one of the most packs interesting packs I have seen. One other thing I noticed right away with the Mountain is the dual compression straps are behind the clam-shell opening zipper. 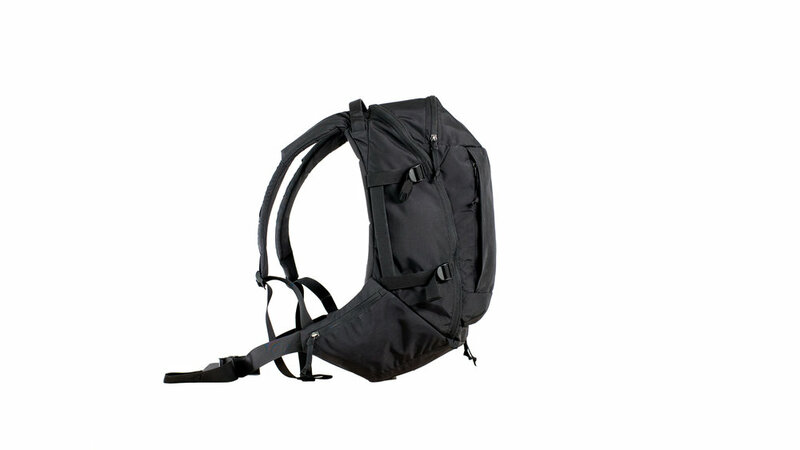 This is huge, as a lot of packs I have used with compression straps interfere with zipping the pack and never seem to fail. I can't wait to see what is in store for EVERGOODS, how their packs do in each of their environments, and what they build this company into. I should have full reviews of each pack in the near future after their KICKSTARTER launch which is on July 11th. I will be updating this page with a link to the KICKSTARTER then. Visit their website here https://evergoods.us/ for more information about the KICKSTARTER release and newsletter. Be sure to click through each set of pictures. 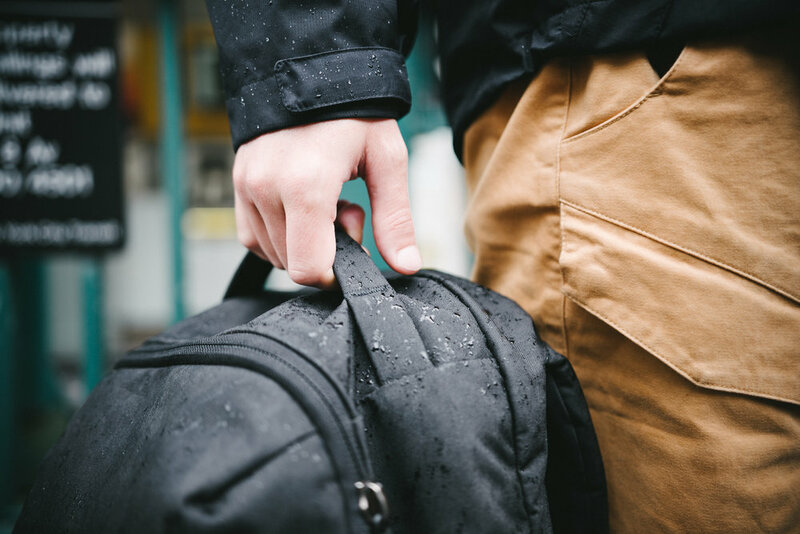 A city focused backpack with an attention to fit, function, durability, and detail that make it thrive as an active day bag in any environment. 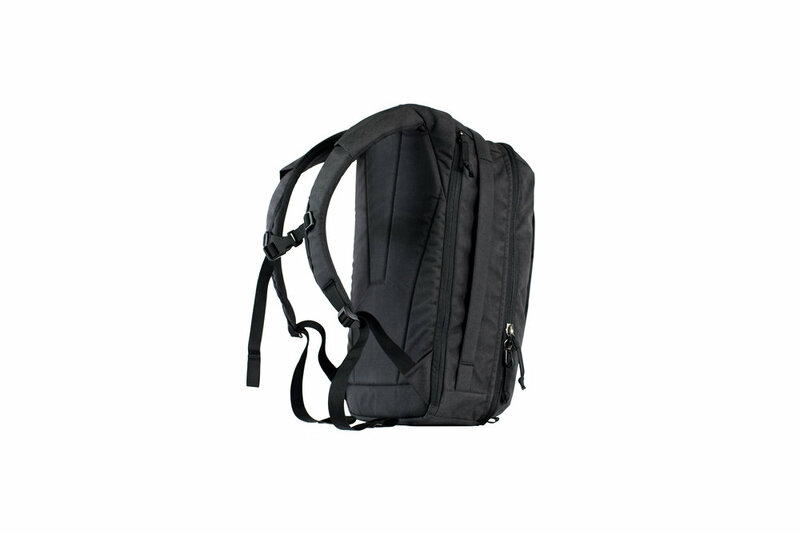 An outdoor focused backpack with an attention to fit, function, durability, and detail that make it thrive as an active day bag in any environment. 1% for land conservation. 1% of all revenue will go to their partnership with the Gallatin Valley Land Trust. 2% of backpacks and apparel bought in the USA that are actually made in the USA. 100% Designed and developed in-house in Bozeman, MT.